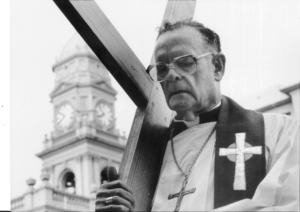 Cardinal Wilfrid Napier, Archbishop Hurley’s successor as archbishop of Durban, has given permission for a shrine and has encouraged acts of public devotion. The cardinal recently said that such devotions are the evidence that the archdiocese needs to open a cause for the canonization of Archbishop Hurley. Following the Catholic custom, after he died on February 13, 2004, the archbishop was buried in his own cathedral, in a grave just in front of the Lady Chapel, which he loved. 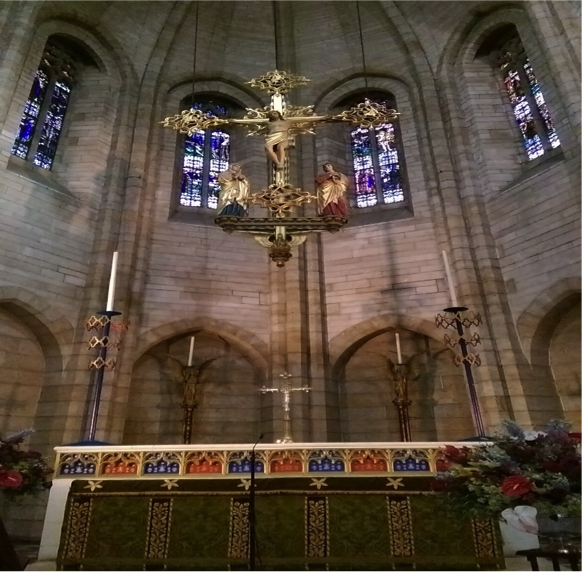 The shrine marks this out as a special place of prayer with a prie-dieu (or kneeler), a candle that will remain lit perpetually, and a special prayer invoking Archbishop Hurley’s example. 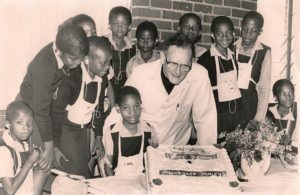 The date for the launch of the shrine was chosen because it was 70 years ago, on March 19, 1947 that the 31-year old Fr. Denis Hurley was consecrated bishop—at the time the youngest bishop in the whole Catholic world. 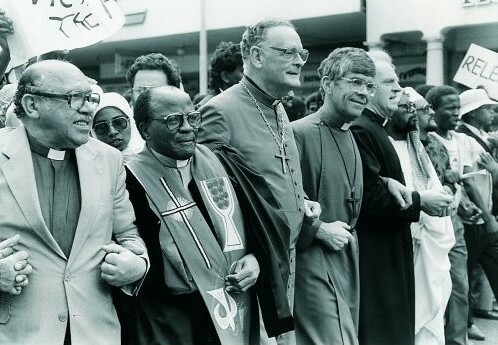 “Durban City Council has recognized Hurley’s importance with a street and now a museum dedicated to him; the Church is now formally encouraging us to pray for his intercession by the creation of this shrine. 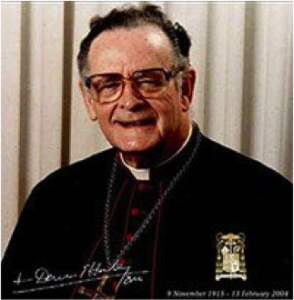 It is clear that he is an inspiration to Catholics and to all citizens,” said Hurley biographer Paddy Kearney. Visit the Denis Hurley Centre’s website to read more about the work of the organization and for a gallery of historical photos. Download the specially commissioned prayer to honor Archbishop Hurley and to ask for his intercession. 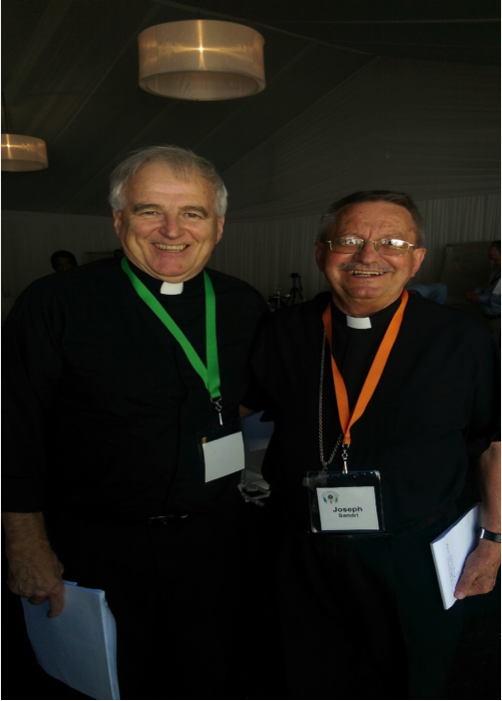 Loving Father, we thank you for the life, vocation and ministry of your servant Denis Hurley, our bishop, brother and friend in Christ. 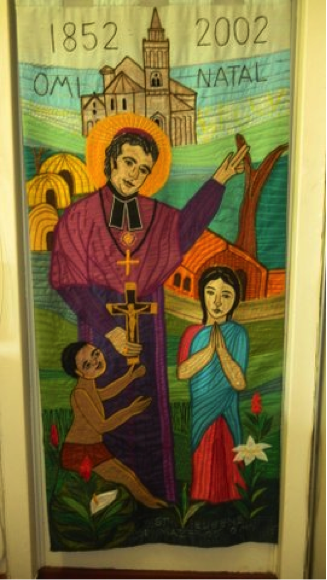 We pray that his work for justice and peace; his loving care for the poor and marginalized; and his vision for a reformed and renewed Church, may continue to inspire us with increased vigor. Grant that the gift of the Spirit may enable us to act in harmony to establish your kingdom in our lives, our work and our world as we strive to follow Denis Hurley’s motto: “Where the Spirit is, there is freedom!” Listen kindly to the intercession of your servant Denis on our behalf, and grant us the favor of his patronage in your kingdom. We pray that in Christ your Son, all may be sanctified, all may be one. Amen. 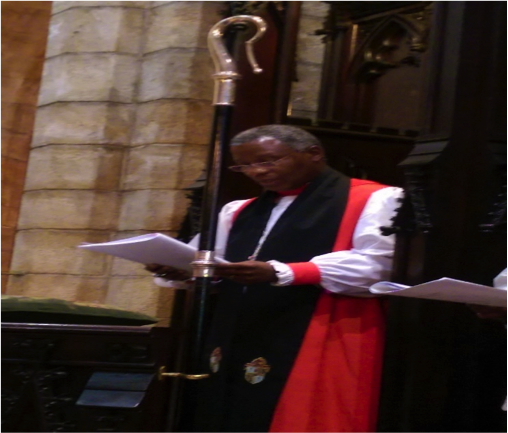 Archbishop Emeritus Desmond Tutu, in an exclusive article published over the weekend in Haaretz, the liberal Israeli newspaper, called for a global boycott of Israel and urged Israelis and Palestinians to look beyond their leaders for a sustainable solution to the crisis in the Holy Land. South Africans – along with people across the world – have turned out in massive demonstrations in opposition to the disproportionately brutal bombing of Gaza.